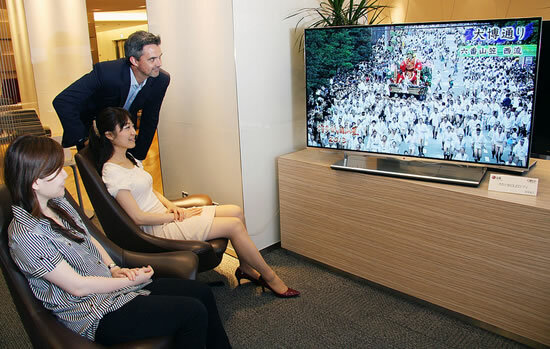 LG will be displaying its Narita Airport in Tokyo, Japan, LG OLED TVs will make their way to international airports in cities such as New York, Berlin, Dubai and Bangkok. LG launched the world’s first OLED TV earlier this year, capturing the attention of consumers, media and the entire entertainment industry. LG’s OLED TV employs proprietary WRGB technology features a white sub-pixel which guarantees the clearest, most realistic images in an unbelievably thin display. LG’s OLED TV offers an impressively wide viewing angle, ensuring the perfect picture from almost any viewing position. The ultra slim, lightweight model also boasts the strength and durability of carbon fiber reinforced plastics.